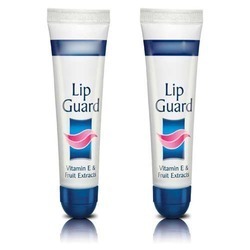 We offer a best quality Lip Guard Balm that is perfect for chapped and dry lips. Offered lip balm is suitable to be used in every season. This lip balm is perfect for nourishing lips and available in different fragrances. Offered lip balm gives glossy appearance to lips. We manufacture lip guard / lip balm lamitubes, sizes from 5 gm, 10 gm and above. : Chapped lips are the result of very dry skin. Dry skin occurs when the moisture content of the skin is decreased for any reason. Dry winter air chaps lips. : When the lips do become chapped it is very common for people lick their lips in an attempt to moisten them. The company offers to the customers a high quality of Petroleum Lip Guard which are used on the dry lips and these products are exported to the customers all over the globe at very reasonable rates. Our products are supplied to the customers on time as per their requirements and they are very reliable in their performance. With the involvement of modish technology, latest machinery and advanced tools in all our processes, we are occupied in offering Herbal Lip Guard. With a firm commitment to quality, we are involved in offering a wide ambit of Lip Guard. 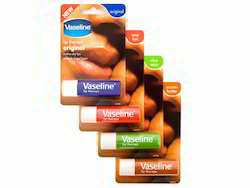 - Long lasting intensive moisturization. - Help restore moisture and smoothen lips.